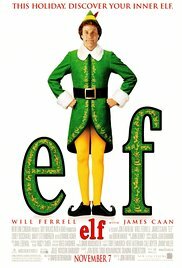 Join The Archicks on Friday, December 22nd at 6:30 pm for a showing of the Christmas Classic movie, Elf. The movie is Rated PG and runs for 97 minutes. We’ll have snacks free of charge, but feel free to bring your favorite goodies as well. Parents, you can drop off at 6:30 pm to go out for last minute shopping, a dinner without kids or to just plain relax (of course, you could stay and laugh with us!). We ask that you please arrive back at 8:45 pm for pick-up so we can all be home by 9 pm!